U Can't Anvil The Truth: My Lai's Bloodless Villagers Duped The Public Or Was It A Real Massacre? My Lai's Bloodless Villagers Duped The Public Or Was It A Real Massacre? Man Exposed Vietnam's My Lai Atrocity And Its Full Horror?? Are my eyes deceiving me or are they using bullets that kills without penetrating the body??? 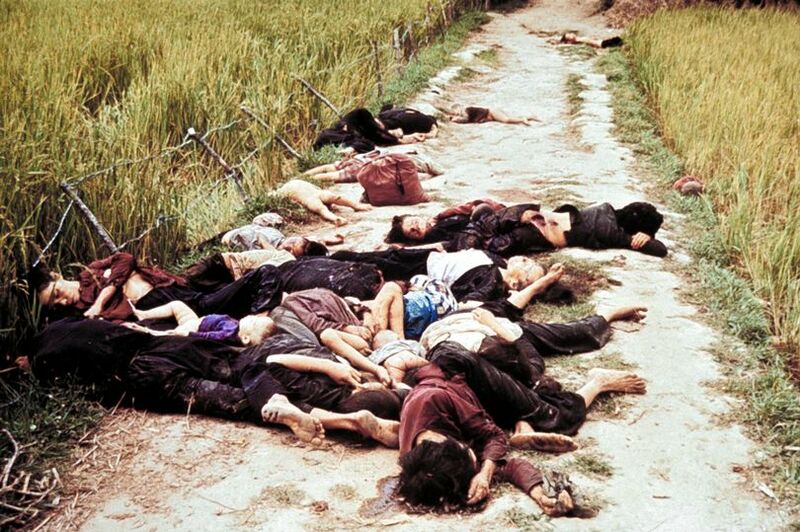 The photo and photo decode shows undeniably that the MY LAI MASSACRE was an orchestrated hoax. They used the name COMPANY C for its mockery numerical values and when you analyze the photos closely you'll find that the villagers are BLOODLESS.